British soldiers serving in Afghanistan have come up with something of a surprise when asked what they'd like for Christmas – an e-book reader. 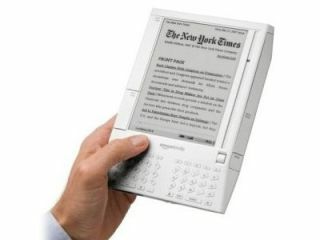 The news that troops are hankering for a Kindle, Iliad or Sony Reader comes from unspecified "sources within the British Army", according to PC Pro. It's also unclear why Christmas lists are being drawn up in mid-September. Regardless, the space-saving element alone makes the e-book a clear winner for soldiers already burdened down with equipment. Dozens of books in a small package clearly beats out bundles of dead tree reading matter. Intriguingly, the story also quotes an army officer as recommending e-books over music players, as they are silent and "don't block hearing". Sensible.